in the middle of the building. Turn left, the meeting room is #2. Bring your laptop to use for the hands on lab. Either RDP or FileZilla and Notepad++ will need to be installed. We will use the iDevcloud IBM i box for the hands on session. Attendees will be able to access and view code after the hands on session. Notes: This is the PDF lesson book (72 pages) for the session. We encourage you to print out a copy prior to attending (or at least downloaded to your laptop). Jim Cooper is author of "SQL for DB2," which is going into its second edition. Jim has also authored two textbooks on RPG and COBOL programming with John Wiley & Sons Publishing, Hoboken, New Jersey. Jim has been Coordinator and Professor in the Computer Studies department at Lambton College in Sarnia, ON Canada for over twenty-five years. 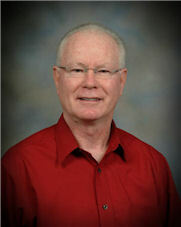 He has taught a variety of subjects with his primary focus on IBM i technology since 1990. Currently, his main focus is on client-side Web technologies for IBM i which includes using AJAX, JSON, and the jQuery Framework with RPG server-side programming. Jim has presented at COMMON and TUG TEC Conferences. From 1995 through 2001 he served as Director of the IBM Roundtable College Conference, an IBM international conference held annually for colleges teaching IBM i technologies. As Director of this conference, he received an honorary award from IBM for his efforts with the IBM Academic Initiative Program and the Roundtable College Conference. Jim also works with the IceBreak Application Server technology that rejuvenated his enthusiasm for RPG programming and revived his IBM i college courses by allowing him to teach RPG as a server-side Web language.